How does one construct a portfolio in an era of seemingly ever rising and highly correlated asset prices? Years of asset prices moving higher has changed both retail and institutional investors; it has changed the industry; and, in my humble opinion, those changes spell trouble. The prudent investor might want to take note to be prepared. I allege that for many, investing is no longer about prudent asset allocation, but about expressing themes. If you like green technology, you tilt your portfolio towards green energy. If you are socially conscious, there’s an ETF for that. I have no problem with anyone allocating money to any specific theme. However, has anyone else noticed that it doesn’t matter what theme you allocate money to? Investors are all playing the lottery and guess what: everyone’s a winner! Now, clearly, that’s an over simplification, as not every industry does well all the time - just ask those who invested in MLPs (master limited partnerships) in pursuit of income from fracking. Let me rephrase: the more of a monkey you have been, i.e. the less you have been thinking, the better you’ve likely performed over the past nine years. “Buying the dips” has been a consistently profitable strategy. Take the investor who diversifies, rebalancing part of a portfolio to near zero-income generating fixed income. Advisors pursing such strategies have seen their clients take money away, as they are not willing to pay a management fee for essentially holding cash. The problem: cash is discarded even if it may be a prudent investment choice. 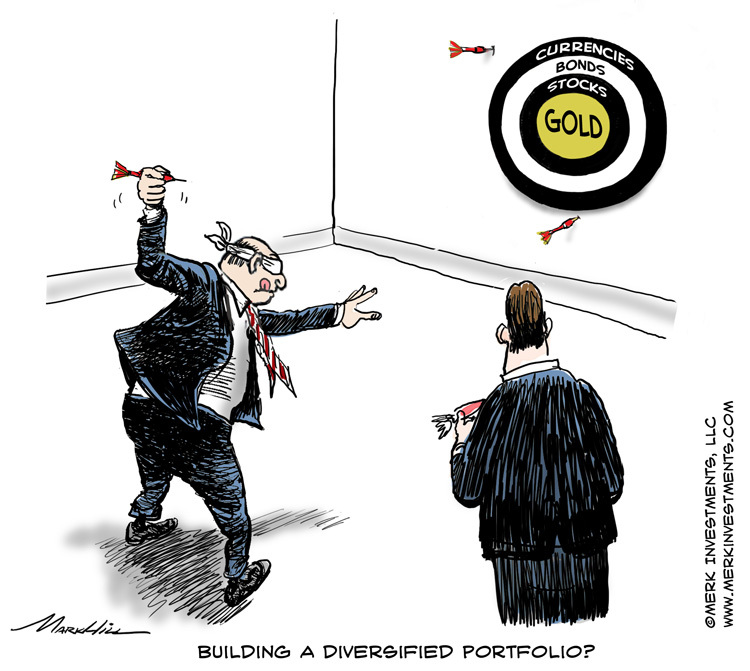 Take the investor who diversifies, rebalancing part of a portfolio to alternative income streams. The problem: Anything that generates an income in a zero-income environment is, almost by definition, risky. That is, both stock and fixed income securities in such a portfolio are so-called risk assets, i.e. I believe they are likely to move in tandem, not providing desirable diversification in a downturn. Take the prudent investment advisor who has allocated part of a portfolio to true alternatives, such as long/short equities or long/short currencies. While providing diversification, such portfolios have likely underperformed during the relentless rise of equities. Worse, when the markets have had a hiccup, such as in early 2016, many of those portfolios still lost money, as the volatility of risk assets overwhelmed the cushion provided by the alternatives. Read: clients have been abandoning advisors, lured by competitors showing how great their performance has been, investing 100% in equities since the spring of 2009. The problem: Those solicitations conveniently skip the inconvenient fact that their clients lost huge in 2008. Take the investor who wants to participate in the upside, but be protected on the downside. The problem: they spend a small fortune buying insurance, even when they might be better off just holding a cash buffer (again, advisors don’t hold cash, as clients would withdraw that cash at some point). If many want to buy insurance, someone needs to write insurance. The one thing more profitable than buying stocks may well have been to write insurance. Funds that “sell volatility”, amongst others, have been amongst the best performers in the first quarter. Mind you, we do not recommend you touch any such product with a broomstick unless you know exactly what you are doing and able to stomach some serious losses. The theory behind many of these funds is that you collect what amounts to an insurance premium when volatility is low; the periods when you have to pay up are short and intense, but those setbacks are ultimately temporary. The problem: Earlier this year, one such fund was in the news for substantial losses, not because volatility spiked, but because portfolio management got cornered when they tried to roll derivative contracts. Let’s just say: something that looks too good to be true, may well be. Interesting things may well happen (read “contagion”) if and when these positions unwind. Active management is dead. Long live passive investing. Never mind that anything but an index fund on the broad market is an active investment choice. The point being that you don’t want to pay some smart cookie to try to beat the market. That’s because those so-called experts were wrong in 2008 (and many times since). What can they possibly know? Besides, your favorite green tech investment fund is doing just fine, thank you very much. The problem: Cautions provided by active managers help one frame possible risk scenarios. Managing risk is important, even if many risks never materialize. Active managers are leaving the industry. Who needs anyone skilled in navigating rough waters when you have robots providing liquidity? The problem: it may be helpful to have a captain on board when the auto-pilot fails. Brokers are increasingly hand-holding relationship people, with portfolio allocation decisions being made by a small group creating model portfolios. After all, why risk your job trying to go out on a limb for your client? The problem: there’s nothing wrong per se with this trend, except that it increasingly concentrates investment decisions for huge amounts of money into very few people. We hope they are smart. Importantly, we hope investors understand who makes the investment decisions and what the conflicts are. Let’s just say: when something goes wrong, class action lawyers will have their day in court. An increasing number of investors are skipping advisers altogether. After all, why not cut out the middle man if they don’t know any better than you do? The problem: there’s no problem with do-it-yourself investing except, just as professionals, investors owe it to themselves to make prudent investment decisions. We think that many individual investors do a better job than some professional investors these days in allocating their money. That said, that’s a very low bar. If you have enough money, you allocate some money to venture capital. At least you have something to talk about at cocktail parties. It might help if you knew what your venture capital fund invested in, but let’s not get distracted by details. The problem: no problem if you can afford it. May I make the suggestion, though, that you first try to understand your overall portfolio, before you dabble in illiquid investments? Quite simply, markets do go down, not just up. In my view there is an increased risk of a flash crash in an environment where we are ever more dependent on automated liquidity providers that might withdraw liquidity the instant there’s an anomaly in the market (read: if you place a market order to sell a security, don’t complain if the market price is dramatically below the most recent trade on an exchange). First, it’s not true. There was no recession during the October 1987 crash. Second, we often don’t know whether there’s a recession until we are well into it; there have been instances when we didn’t know there was a recession until it was over. Third, we’ll only know we are in a “bear market” when the market is down 20%. That’s kind of late to prepare for a bear market. Except, of course, if the market tumbles much more than that, such as the Nasdaq after 2000; or the S&P 500 in 2008. The other day, we met with an investor who has 40% of his portfolio in cash. He doesn’t like market valuations and has decided, he’ll put money to work if the market declines by 10%; then more money to work if it declines another 10%. We think this investment philosophy beats that of many. At least, he has taken chips off the table during the good times and has money to deploy. Before readers cry out: “There’s so much cash on the sidelines, this market must go up!”, I would like to caution that this investor is a rare exception of many investors I talk to - and I talk to retail investors, advisors, family offices, to name a few. The same person, by the way, told me he is at a loss on what to advise his friends, as he doesn’t want to encourage them to get into the markets given current valuations. Indeed, this appears to be a market where just about every pessimist is fully invested. Because folks have been wrong so many times calling the market top, we believe many market bears are fully invested. I think there’s a better way. The better way of investing is to take the long view. Sure it’s great to have one’s stock portfolio surge, but investing, in the opinion of yours truly, isn’t about gambling, but about asset allocation with humility. Passive investing is all right for certain things, but should not replace common sense. When the likely successor to Janet Yellen (we put our chips on Kevin Warsh) has complained that asset holders have disproportionally benefited from monetary policy, and that the focus has to shift, I think it’s but one indication to do a reality check on one’s portfolio, as headwinds to asset prices may well increase. Note that the equity holdings are less than 30%, not the 60% often touted in a “60/40” portfolio (with 40% referring to bonds). The number can be larger or smaller for any one investor, but I believe we should get away from the notion that one needs to have a large portion invested in equities. Endowments are long-term investors, yet don’t go to 100% equities; so why should a young investor be all in equities? By allocating a far smaller portion, you don’t need to lose sleep over asset bubbles. Instead, you can indeed rebalance or make gradual shifts. Note the biggest bucket is “hedged strategies.” We have long advocated that investors need to look for uncorrelated returns. A long/short equity strategy or long/short currency strategy might generate such returns. Importantly, this bucket of alternatives is far higher than what many advisors choose. In an era of very expensive assets, we think this may be rather prudent. This doesn’t solve the issue of how to find the right hedged strategy - remember that those strategies will have under-performed the overall market. Important here is the investment process of the underlying ETF, mutual fund or whatever product one might want to consider. Private equity is obviously not accessible to many investors. Relevant though is that there’s a big bucket allocated to investments where one expects a long-term return without seeing the daily price moves. Sometimes it’s good not to have tick-by-tick data. An individual investor might be able to replicate this by opening another account, selecting a few long-term ideas, then throwing away the key to the account for a few years. Well, one should still review the investments periodically, but the point being: it is okay to invest different portions of a portfolio according to different philosophies. Say, be a day trader for a small portion, but do hold strategic positions. Some of this can be achieved by intentionally mixing up the styles of different investment products. If not all of them perform well at the same time, that’s a good thing! This particular portfolio has a small allocation to “equity-like credit”; we are not making a judgment whether this is too high or too low; the point again is that there’s a very broad allocation to different asset classes. Note, by the way, that ‘equity-like credit’ is likely to perform, well, like equities. Even with those assets added, the equity portion is still modest. Not mentioned in this particular portfolio, as least not in the headline numbers, is an allocation to precious metals or commodities. Those who have followed us for some time know that we encourage investors to consider gold as a diversifier. We have often referred to gold as the “easiest” diversifier because it’s easier to understand than some exotic long/short strategy. In our analysis, the price of gold has had a near zero correlation to the S&P 500 since 1970; however, over shorter periods, correlations can be elevated. In our analysis, gold has done well in every bear market since 1971, with the notable exception of the bear market in the early 1980s when then Fed Chair Volcker raised interest rates rather substantially. The point of all of this is not to suggest that investors need to add equity-linked credit or private equity to their portfolio. No, the point is that there’s more to investing than chasing high flying companies that promise to make Mars habitable. Please register for our “Portfolio Construction Webinar” on May 18 where we shall continue the discussion. Make sure you subscribe to our free Merk Insights, if you haven’t already done so, and follow me at twitter.com/AxelMerk. If you believe this analysis might be of value to your friends, please share it with them.